Perfect for the man looking for a wedding band with a unique style, this Hammered Finish Mens Wedding Band featuring rope edging combines a traditional high shine with eye-catching textures. 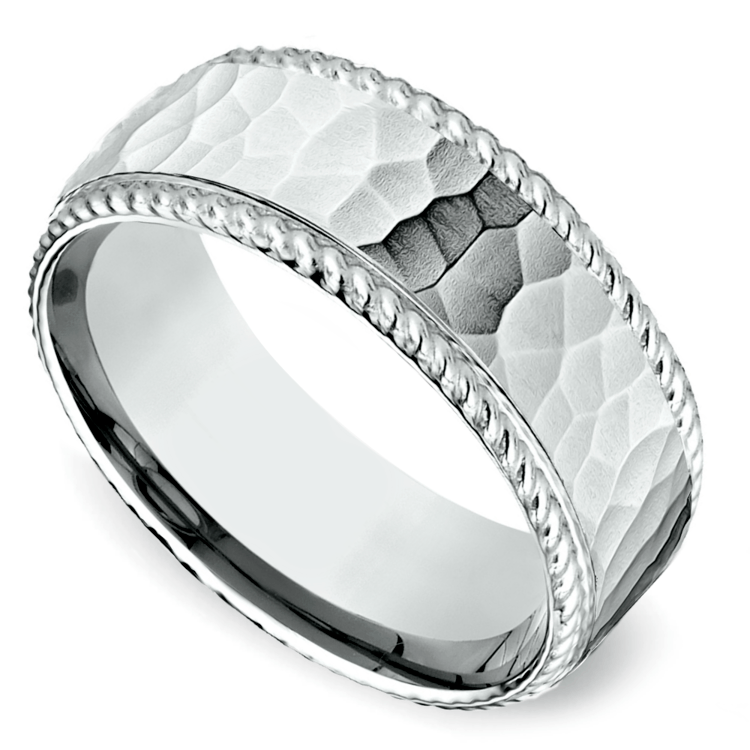 A hammered finish covers the center of this band, enhancing the brilliant rope design lining the edges. Our Comfort-Fit style makes this band not only beautiful to look at, but also extremely comfortable for everyday wear. Available in either 14- or 18-karat white gold, this design will look fantastic on your husband’s hand. Love this wedding band? Take a look at our full collection of rings here: Mens Wedding Rings.